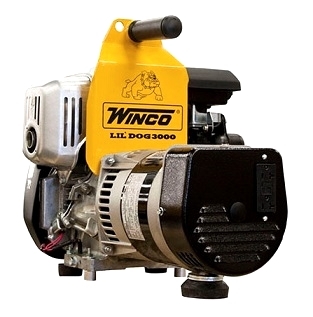 We are pleased to offer the best industrial grade portable electric power generators from Winco and Sievert. 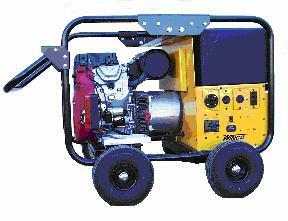 Our portable generator products include tow-able, diesel powered, 4-wheeled generators with flat free tires and more. With portable electric power from 3 KW to 55KW, we have what you need. These super reliable electric generators are ideal as temporary power for the jobsite, remote power, emergency power, events, rental units, camping, rural home sites and more. These generators provide the reliability when you need it and at great prices. standard 50A twist-lock outlet. Roofers FAVORITE ! WC12000HE 12KW, 4-Wheel, gasoline, electric start. Below you'll find accessories to go with your electric generators. Call us if you do not find what you're looking for! Commercial / Industrial Grades for the toughest jobsite conditions. 12/3 15 amp, 120 V, Straight Blade 5-20 types.